Diamond, Frosted Cut Glass and 14kt. White Gold Brooch and Earrings, marked. 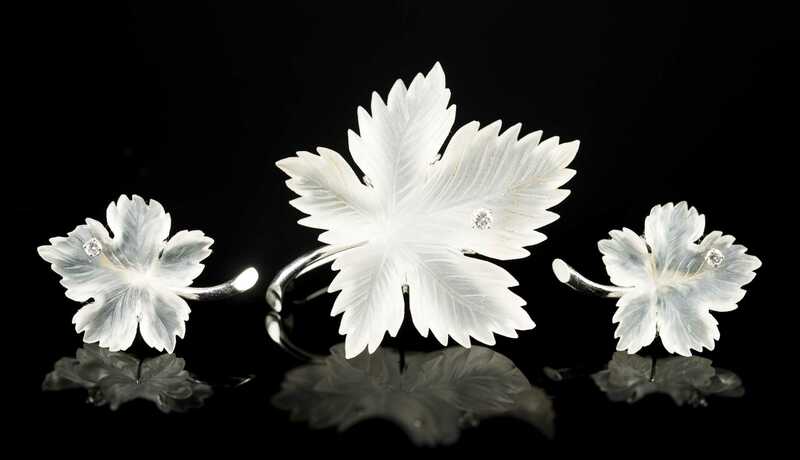 Large frosted cut glass leaf suspended in white gold and finished with diamond, one prong is damaged. Pierced screwback studs in same design but smaller (backs not included. All marked 14kt. Total weight 16.4g.